This element of the Ryrie-Campbell Collection is comprised of over 400 short stories, poems, and articles published by LM Montgomery in wide range of North American, British, and Australian periodicals in the late 1800s and early 1900s. 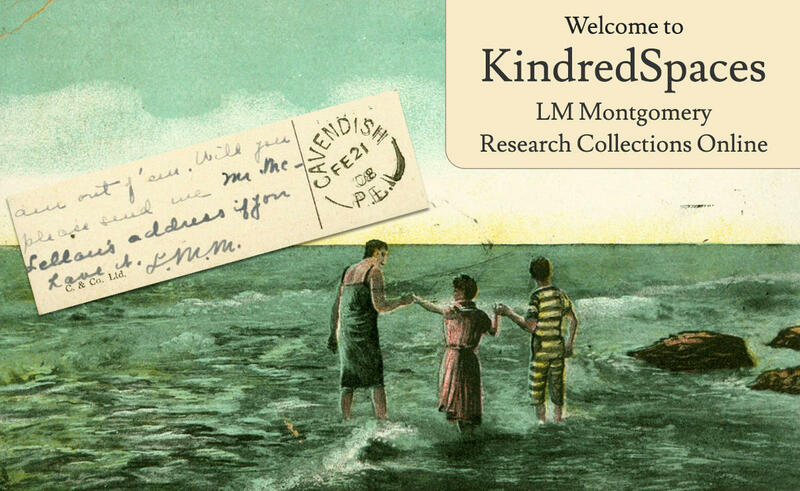 Thanks to Dr. Campbell’s work in collecting these original periodical issues over the course of many years, and her support for KindredSpaces, you can now enjoy, online, an experience very similar to that of Montgomery admirers (and Montgomery herself) many decades ago: opening a magazine or newspaper to enjoy a fresh creation from her fertile pen. The periodical content published by Montgomery falls into three genre categories: short stories, poems, and articles. You can click on the preceding links to retrieve all the content in each of these three categories. The default display is alphabetical by item (story/poem/article) title, but you can also use to the Sort function to order content display by periodical title, date of publication, or place of publication. You can also use the Faceting features at the left of the screen to limit the results displayed (if, for example, you only wished to see poems published before 1900, or only short stories published in Canadian periodicals). The front cover; the table of contents (if available); the story/poem/article by Montgomery, and; the back cover. It would have been prohibitively time-consuming and expensive to digitize the full content of each issue (periodical issues of this era often had 100 pages or more), but please note that the original issues are available for consultation at the UPEI Library’s Archives and Special Collections. If you wish to locate specific content — for example, a particular poem or story — you can use the Search feature provided. More assistance on searching and displaying this content online is available in the Help section.